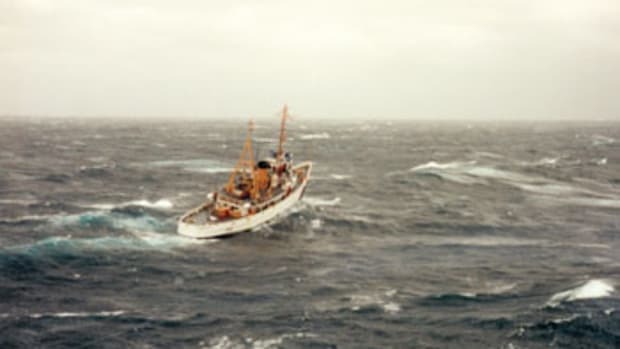 On May 10 the Coast Guard cutter Tamaroa, popularized in the book and film The Perfect Storm, was sunk off Cape May, New Jersey, to become part of the Del-Jersey-Land reef. Coast Guard members who served aboard the cutter share their experiences in this video from NJ.com as they watch the ship go under. Tamaroa became part of an artificial reef that includes the destroyer USS Arthur W. Radford, the minesweeper Gregory Poole and the Army freighter turned Navy support ship Shearwater. For more about Tamaroa and her long career, check out this article that appeared in the March 2017 issue of Soundings.